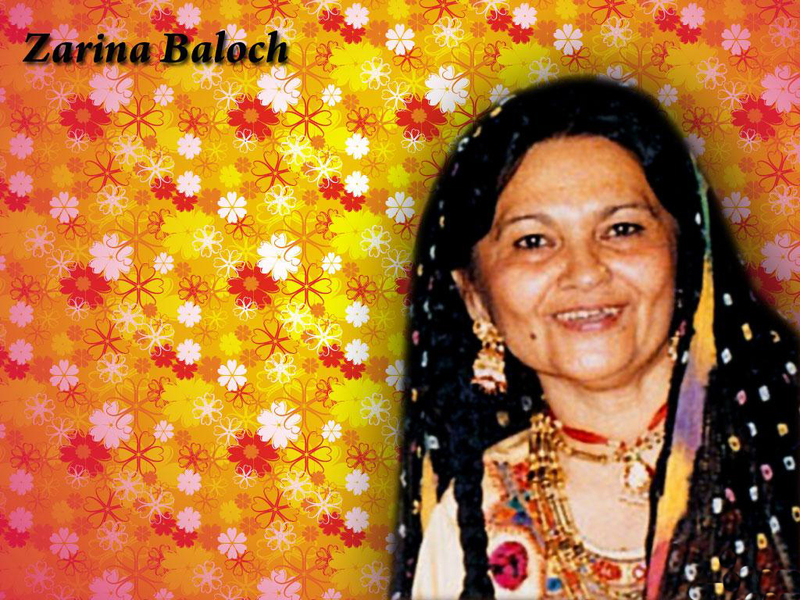 Zarina Baloch was a folk music singer and composer. She was also an actress, writer, teacher, political and social worker. Zarina Baloch’s mother, Gulroz, died in 1940 when Zarina was six years old. At the age of 15, her family arranged her marriage with a distant cousin. 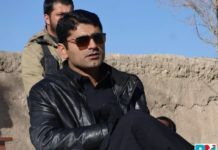 The union yielded two children: Akhter Baloch a.k.a. Zeena (born in 1952), and Asalm Parvez (born in 1957). However, Baloch and her husband disagreed on the subject of her further education and the pair were separated 1958. Baloch joined Radio Hyderabad in 1960 and received her first Music Award in 1961. Her second marriage, to leading Sindhi ethnic nationalist Rasool Bux Palijo, took place in Hyderabad on September 22, 1964 and it yielded a son: Ayaz Latif Palijo. In 1967, she became a teacher at the Model School Sindh University. She retired in 1997 and died in 2005 of Brain Cancer in Liaquat National Hospital. In 1979, Zarina was arrested and imprisoned in Sukkur and Karachi Jails for leading the protests against President General Zia ul Haq’s Martial Law. 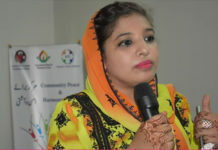 The songs and anthems sung by Zarina Baloch “Maan Chuke Balochani”, “Man Yagehaan” and “Jeaey Sindh” became the musical symbols of Baloch and Sindhi Nationalism. 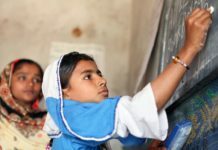 Because of her struggle against the ruling classes and against gender discrimination, feudalism and martial laws, she earned the title of JeeJee (mother) of the Sindhi people. She was one of the leading founders of Sindhiani Tahreek, Women in Action Forum, Sindhi Adabi Sangat and Sindhi Haree Committee. She was fluent in Urdu, Seraiki, Balochi, Persian, Arabic and Gujrati. Her recognitions include: the Shah Latif Award, the Waheed Murad Award, the Shah Sachal Sami Award, the Lal Shahbaz Award, the Sachal Award, the SGA Award, the SANA Award, the WSC Award, the Ram Panjwani Award, the PTV Award, the Sindhi Sadaeen Gad Award, the Faiz Ahmed Faiz Award and the Pride of Performance Award. She wrote ethnic nationalist songs and poetry popular amongst ethnic-nationalists in Sindh and Balochistan. She was the author of several stories and poems, and her Book “Tunhinjee Gola Tunhinjoon Galhion” was published in 1992.